MomsRising.org | Tell Congress: Protect SNAP in the Farm Bill! Tell Congress: Protect SNAP in the Farm Bill! Republicans in the U.S. Congress have introduced a Farm Bill that would increase hunger and hardship by taking away—or cutting—food assistance from many struggling families, including children. Their proposal includes sweeping changes to the SNAP (Supplemental Nutrition Assistance Program or food stamps). The unworkable, harmful, unnecessary, and woefully-underfunded proposal takes SNAP benefits away from people 18-59 years old who aren’t currently employed or participating in training for 20 hours a week. Millions of struggling families could be harmed by this proposal! There is still time to stop this harmful proposal! The U.S. House of Representatives will be voting later this week on the GOP Farm Bill. **SIGN our letter now telling Congress “Hands off SNAP!” and we’ll deliver it to members of Congress! I ask that you reject the harmful, unnecessary, and backward proposals in the 2018 Farm Bill which chip away at SNAP, altering its historic success of assisting families in their time of need. Slashing funding, removing families from assistance and imposing unnecessary and unhelpful barriers to vital nutrition assistance, especially in the form of work requirements, only sets our families and economy back. This would disproportionately affect low-income women and families who are just trying to get by and pull themselves out of poverty. No one should be punished for caring for a loved one, being unemployed, or having a chronic illness or disability that prevents them from having regular employment or engage in prescribed work-related activities.. One out of four children in America already lives in a food insecure household. This proposal will only lead to more child hunger and suffering. Our children’s future will be affected as well as our economy. Instead we should be funding job creation and training programs, raising wages, ensuring high-quality, affordable childcare, and passing paid family and medical leave so we can care for ourselves and our loved ones when they need us most and strengthening nutrition programs. 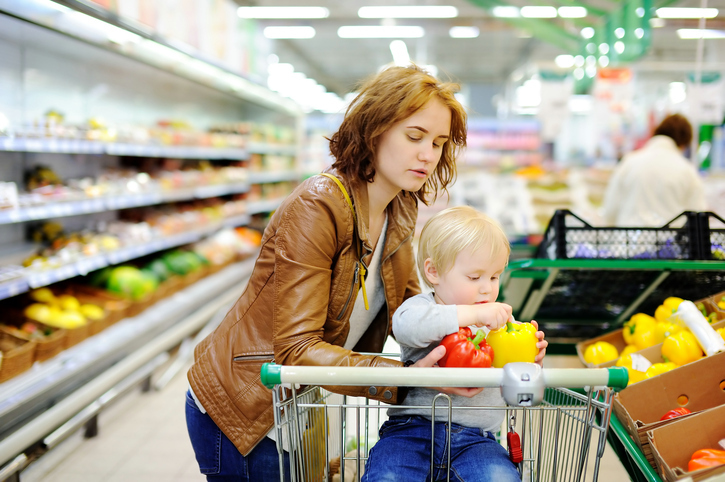 70% of SNAP participants are in families with children and over half of those families have at least one adult in the household working. The last thing American families and our economy needs are policies that are balanced on the backs of our nation’s families or so-called “welfare reform” packages that will keep us from putting food on the table for our children. After all, 72% of our GDP is based on consumer spending, and if the majority of the people don’t have funds to spend, then our economy runs out of gas. Help our families grow up healthy and happy by protecting the nutrition programs that boost our children and our economy!